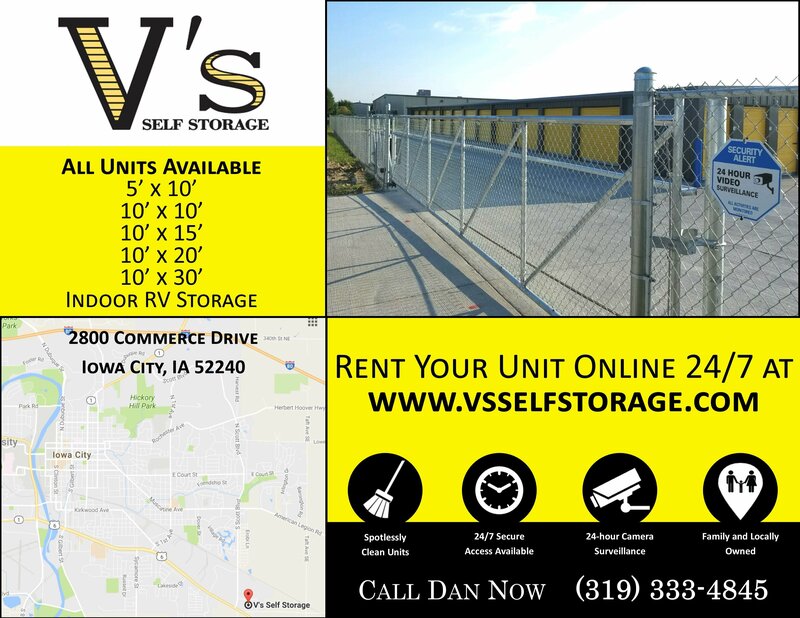 With summertime approaching fast V’s is quickly starting to rent all their empty units. If you know you will be in need of a storage unit please do not wait to get in contact with us. &nbsp;Dan can be reached at anytime, 319-333-4845. We provide a clean, safe, secure facility that offers customers easy access to their belongings 24 hours a day. We strive to provide the best customer service.